— For five years, they have voyaged through space, going farther and faster than any LEGO minifigures have ever traveled before. 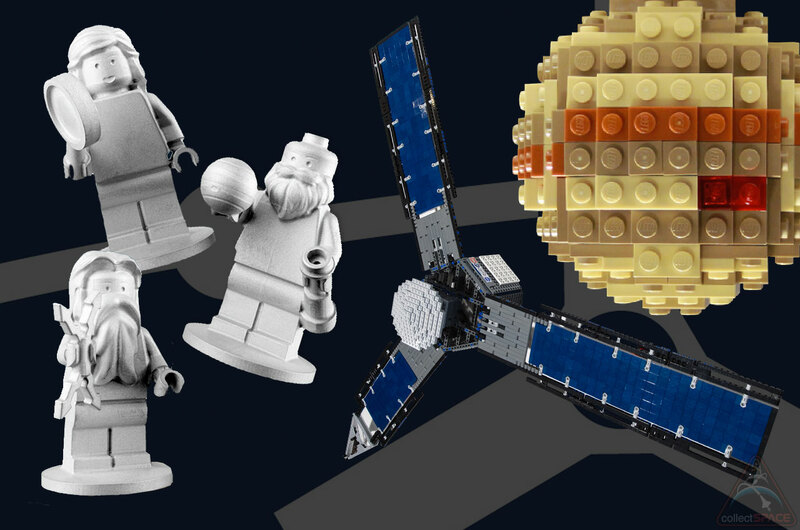 On Monday night (July 4), the three tiny stowaways aboard NASA's Juno spacecraft will arrive at their destination, the giant gas planet Jupiter, and in doing so, will launch a new effort by the space agency and LEGO company to inspire children back on Earth to reach for the stars. 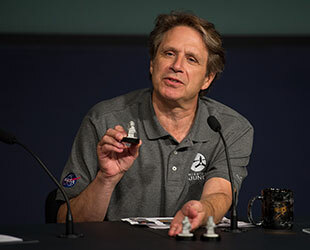 "The Juno team, all the scientists and engineers that made Juno happen, are just so excited that we are finally arriving at Jupiter," the mission's principal investigator Scott Bolton, of the Southwest Research Institute in San Antonio, said in a press conference last month. "And we want the public to be able to share in that excitement." "We want them to join, jump on and ride with us into our journey of exploration," said Bolton. If all goes as planned, Juno, a solar-powered spacecraft that is about the size of a basketball court, will perform a 35-minute burn of its main engine beginning at 11:18 p.m. EDT (0318 GMT) on Monday, slowing the probe by about 1,212 miles per hour (1,950 km/h) so it can enter Jupiter's orbit. Juno will then circle the giant Jovian world 37 times over the next 20 months, skimming to within 3,100 miles (5,000 km) over Jupiter's cloud tops. Although the ninth probe to visit Jupiter and the second to orbit it, Juno will be the first in history to enter polar orbit, providing new insight about the planet's core, composition and magnetic fields. 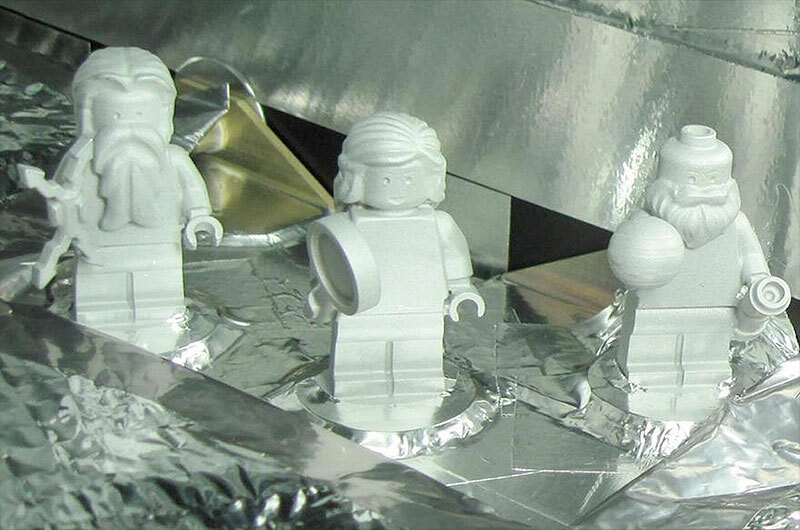 Along for Juno's trailblazing mission are three 1.5-inch-tall (4 cm) hitchhikers: a special set of LEGO figures crafted in the likenesses of 17th century astronomer Galileo Galilei, the Roman god Jupiter and his wife Juno. 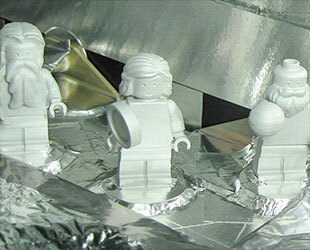 "These [minifigures] are made by the LEGO company in a special agreement with NASA," described Bolton. "They're made out of spacecraft-grade aluminum." The three figures stand along a ledge on the spacecraft's hexagonal two-deck body, which also houses Juno's eight primary science instruments, 29 sensors and a first-of-its-kind shielded vault to protect the probe's electronics from Jupiter's heavy radiation environment. 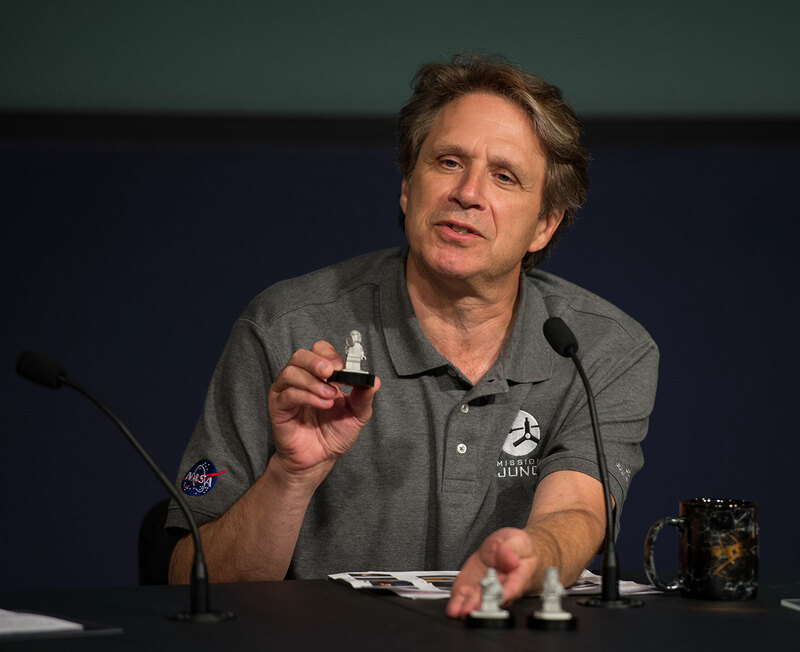 "We put these LEGO minifigures on board Juno in order to inspire and motivate and engage children, to have them share in the excitement of space exploration and reaching for the best goals that you can," Bolton said. 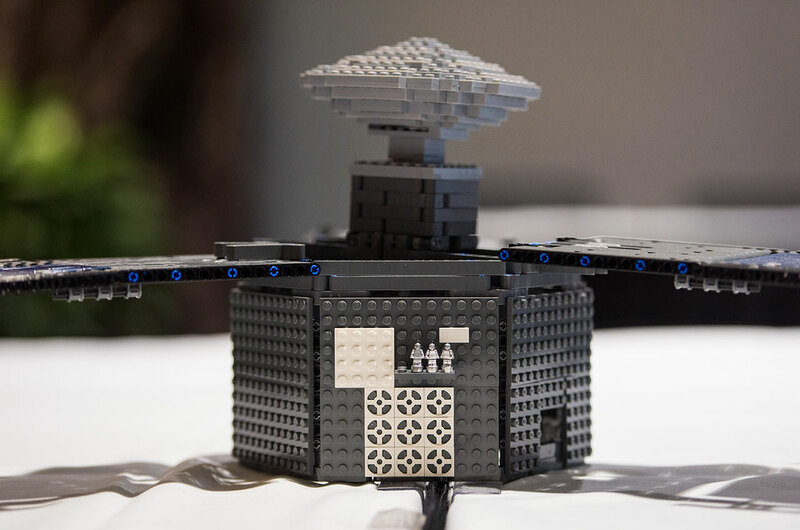 To that end, NASA and LEGO have partnered on "Mission to Space," a new design challenge that invites children to use the toy building bricks to imagine the future of space exploration. "This is your chance to help build our future in space here on Earth," said astronaut Nicole Mann in a video posted to LEGO's website. "What would your home on a planet or a space station look like? How would you travel around from planet to planet?" "We hope you will share your ideas on how to build the future," said Mann, who is joined by astronaut Nick Hague in the video. Children can build their own models, photograph them and upload them to the "Mission to Space" gallery. 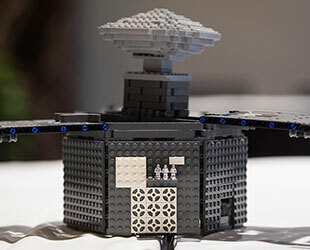 The winning creations will be featured on LEGO's website and receive a winner badge on the LEGO gallery. "Reach out, literally, for the stars," encouraged Bolton. "We are reaching for the stars here, they can join us — or they can reach for their own stars." 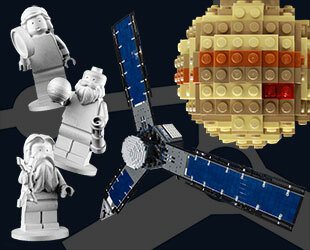 For more information about the NASA and LEGO design challenge, see the Mission to Space website.